What Goes Well With Lychee? 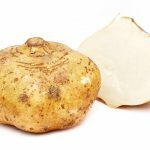 Like rambutan, lychee goes well with other tropical and Asian fruits like pineapple, durian, coconut, jackfruit, mango, mangosteen, and kiwi. 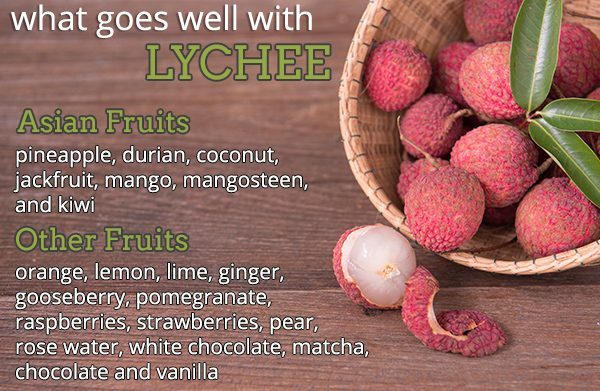 Lychee also pairs well with orange, lemon, lime, ginger, gooseberry, pomegranate, raspberries, strawberries, pear, rose water, white chocolate, matcha, chocolate, and vanilla. Lychee drinks (alcoholic or not) are always a delicious hit. Try this fresh lychee martini from My Man’s Belly. Lychee sorbet is also beautiful and refreshing for the summer but if you’re not looking for a frozen dessert, this lychee panna cotta sounds wonderful too. And if you’re feeling a little adventurous, why not try making your own lychee marshmallows or fritters?